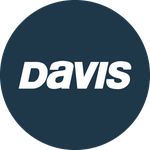 Davis Instruments Support, FAQs and Troubleshooting - Is the hardware for the Doel-Fin rustproof? All Categories ​>​ FAQ ​>​ Marine ​>​ Is the hardware for the Doel-Fin rustproof? Yes, the hardware is stainless steel.